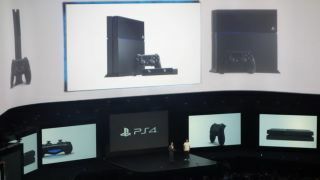 Jack Tretton, president and CEO of Sony Computer Entertainment of America, got the house rocking with a plethora of announcements about how the PS4 works, all the while throwing shade at its main competitor, the Xbox One. Tretton, to the sound of cheers and applause, revealed at the PS4 has no used games ban. Unlike the Xbox One, there is no online requirement. Xbox's console requires an online check-in every 24 hours. The PS4 imposes no new restrictions on used games, news that was greeted by whoops and rousing applause by the crowd at the company's E3 2013 press conference Monday. When it comes to PS4 discs, Tretton announced gamers have the right the copy of the game, meaning they can trade it in at retail, sell it to another person, lend it to a friend or keep it for as long as they like. Speaking of compacts, turns out that disc-based games won't need an online connection to work. No connectivity means no hurdles for any time of authentication. "It won't stop working if you haven't authenticated within 24 hours," Tretton told the rooting crowd. Take that, Microsoft. Users will be able to carry over their PS Plus memberships to their next-gen console, as well.